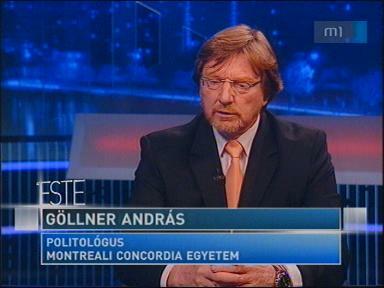 Concordia’s Journalists for Human rights group will be hosting their first speaker series of the year on Thursday, Oct. 23 by Concordia Political Science Professor Emeritus András B. Göllner. Entitled “Rules for Civil Rights Activism”, the talk will look at what it takes to be a human rights activist and the dangers of the role by drawing largely from Göllner’s experiences as a campaigner for Hungarian democracy. A Hungarian by birth, he briefly returned to the small landlocked country of 10 million people in the ‘90s after the Soviet collapse allowed him to participate in its nascent democratic institutions. Instead, what he saw was a steady drift towards political cronyism and authoritarianism by a government cleverly renewing the traditional pillars of Hungarian nationalism—anti-communism, Catholicism, social and political conservatism—for its own cynical uses. “Hungary never had a democratic tradition, and as soon as the communist system collapsed people came into power without any democratic experience,” he said. Finding himself increasingly unwanted by the authorities due to his outspoken views, he returned to Canada and formed the Canadian-Hungarian Democratic Charter, a civil rights activist group campaigning for democracy in the country. Göllner says the current regime under Prime Minister Viktor Orbán has reached new heights of corruption and rights violations. Because emigration remains easy in Hungary, those who do not agree with the situation and want to leave can and often do, but this makes it difficult for them to participate in matters back home. “You must understand that of the 300,000 [Canadian] Hungarians, a very small percentage are organized on a community level,” he said on the importance organizations such as his give to dissidents. “We are basically a civil rights group trying to limit the expansion to [the Canadian Hungarian community] by this anti-democratic revolution happening in Hungary,” said Göllner on the rise of the neo-fascist, anti-semitic radical right who’ve sent him death threats, harassment, and political obstruction. Like most European countries suffering economically during the past few years, Hungary has had a tough time recovering. According to the Budapest Business Journal Hungary has a poverty rate of over 45 per cent of the population, and this has made the political fringe attractive. The neo-Nazi Jobbik political party won 20 per cent of the vote in the 2014 elections; meanwhile, ruling party officials have openly referred to Roma as animals fit to be stamped out, and Orbán has been quoted by the Independent as determined to adopt a system of ‘illiberal democracy’ modeled on Russia and China. He attributed the smallness of the country, relative obscurity in the minds of the international community, and the limited reach of its language—Hungarian is highly localized and completely unintelligible to other European languages—with limiting international coverage of the bizarre politics that would make for instant international news elsewhere. By speaking about his work, Göllner hopes to get across the idea of the difficulties involved as much as the strategies one can use to fight for improvement, and the role Canada and the larger international democratic community has to play in fostering this change. “We are planning a major action … for John Baird and the PM for the conjunction of the visit of Hungary’s foreign visitor [on Thursday]. We hope Canada becomes more vigorous in its protestations,” said Göllner. “Rules of Civil Activism” takes place on Thursday, Oct. 23, 2014 at 5 p.m. at N sur Mackay, 1244 Mackay St.
Pingback: Meg kell állítani az antidemokratikus forradalom terjedését a kanadai magyar közösségekben! 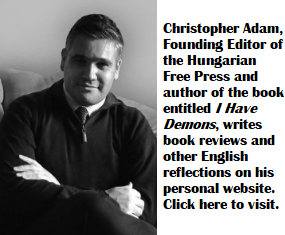 EDITOR: TheHungarian Press is everything but free. My yesterday comment on Mr. Göllers previous action (complaining about Hungary to the Canadian nProme Minister) has not been allowed to appear. Until it could not appear I will not comment any of your articles. If it was your goal, you reached it. It is OK, but give up laying that you are “Free”. I am proposing to call the current fidesz system a true counterrevolution, a stealth restoration of the Budapest – Moscow axis. The current regime is enjoying a strong support among people who aspired to become the Kadar – Elite before 1989.